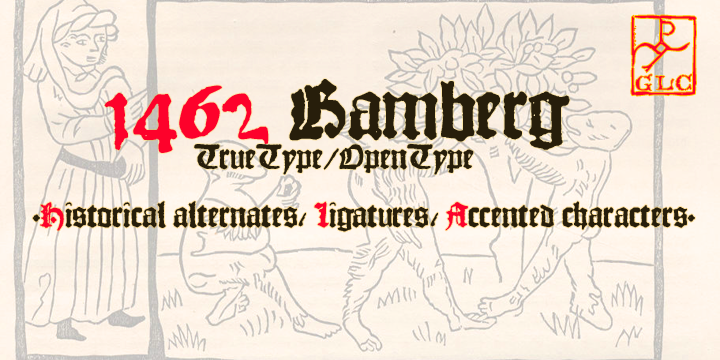 The birth for this 1462 Bamberg font came to life while printing of a book named “Ackermann Von Böhmen” which was written in an old German Language. Though it was the phase of when printing just got started Albrecht Pfister did a great job in the design of this font. Developed long back, it used accented characters which they lacked something. Best thing about this font is, the bigger your font, the more clearer it becomes so it has made its place in Websites titles, posters and especially in ancient text.